E-Z Rent-a-car has been in operation since 1994. It was at this time that they established their fleet of cars based out of the international airport in Orlando. The size of their initial fleet certainly wasn't something to brag about, as it only contained nine vehicles. Things have certainly changed nowadays as they have locations throughout not only the United States, but also the world. One of the main reasons why the company is so popular is because of the focus that it places on customer service. It realizes that customers who use their services may not be familiar with the cities in which they're visiting. Therefore, each employee that interacts with the public is specially trained to act somewhat as a guide to the city and help deliver a great first impression. The official website is located at e-zrentacar.com. If you are looking to rent a specific type of car, then you'll likely want to check out the fleet list that the company maintains on its website. This section provides important information for all their vehicles such as gas mileage and how many people can occupy the vehicle. You can also view the fleet of a particular location. If you're a frequent traveler, then you definitely want to check out the frequent renter program called E-Z Money. Every dollar that you spend with the company after becoming a member will earn you five points. You can redeem these points in the future for a discounted rental. There is also a program for professional travel agents looking to partner with the company. There is a commission request form on the website that professionals can fill out at their convenience. 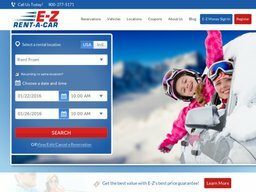 E-Z Rent-a-car also features a blog on the website. It provides useful information such as attractions that people should visit whenever they travel to various cities around the country. Other posts touch on interesting topics such as travel hacks for parents. If you happen to have any questions about anything, then you should be able to find relevant information on the website with ease. This is all thanks to the F.A.Q. Section. Different locations may also have varying policies and procedures, so you can find out information about this as well. Coupons help to save money, so most people will obviously use them if they're available. Thanks to the coupon section on the website, you can easily do so. Just search the coupon section to find something that's suitable for you. There are a variety of coupons to fit everyone's needs. There is a discount for seniors and students. School employees such as teachers can also qualify for a discount. Military personnel and people who work for certain government organizations are also eligible for these coupons. Visitors can easily make reservations on the website. Simply choose a location that you want to rent from and also one that you want to return the rental to if it's different than the originating location. You will also need to choose the pickup and return date. The website gives you the ability to manage your reservation online. This enables you to view current reservations as well as edit or cancel them. It's good to know that the company also offers a price guarantee. 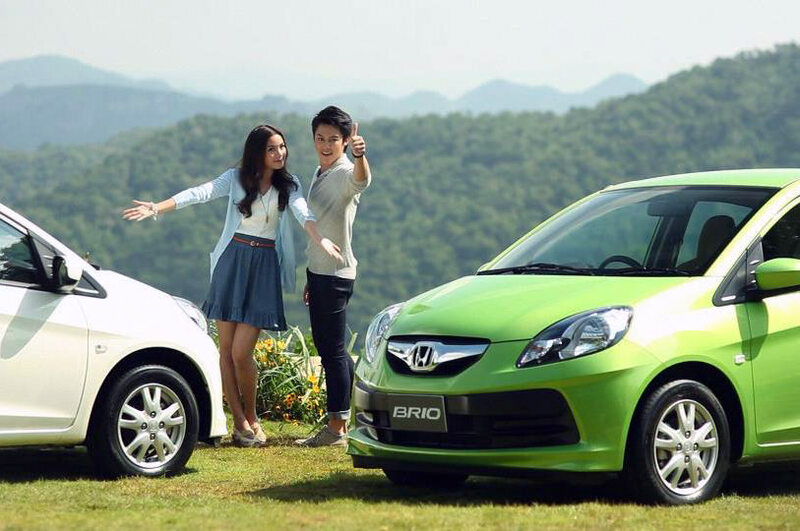 If you find the same rental for cheaper from another company, then you can have E-Z Rent-a-car match the price for you. In addition to the coupons available on their official website, you can also save money by using those available from Coupofy Coupons. There is an updated list of special deals and promotions that you can use when shopping on their website. The company accepts all types of major credit cards. You will need to use a credit card to make a deposit when renting a car. Whenever you arrive at the location, you will also need to present your driver's license. Shoppers have the ability to cancel their reservations right from the website. All you have to do is have your confirmation number and use it to fill out the form. If you have forgotten it, then you can call the company to cancel.